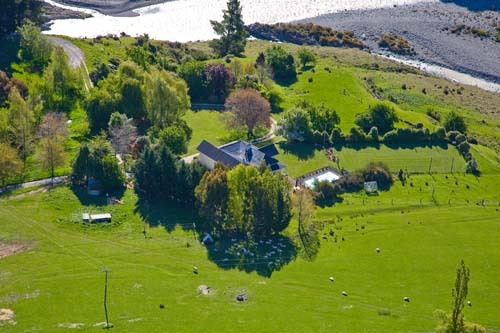 Duntroon is a freehold property of 1307 ha of predominately north facing country on the south side of the Awatere River, and ranges in altitude from about 250metres to a 1000metres, and has an annual rainfall of 830mm. 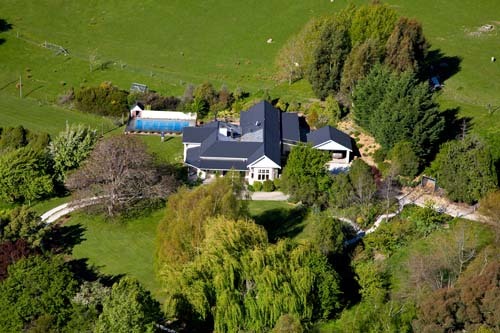 The property is owned by The Duntroon Farming Company Ltd (formed 1966). Today, Robert and Trish Oswald, and their son Hamish, and his wife Jane, (4th generation of family to live on the holding) work on the property and own the company. After the death of Mr W M L (Matt) Oswald in 1975, Robert took over the management and in 1980 took ownership of the company. In 1987, Adelaide Oswald, widow of Matt Oswald, moved to Hamner Springs and she is now living in Blenheim. The name of this block was formerly Glendhu. In the early days it was known as Thistle Brook. The land was originally part of Weld's Hill and had a series of owners including Messrs McGowan and Porter, Mr Englebreght who built the homestead in 1917, Messrs Arthur and Lance Giles and Mr Jas Goss. It was leased in 1931 by Mr W L Oswald with the right to purchase, and in 1933 his two sons - W M L and E M Oswald took possession. From then on, until 1966 it was run along with the original Duntroon (now Mt Carmel). In 1944 Mr E M Oswald moved into the homestead. After the death of his father (1947) and then the death of E M Oswald (1952,) Mr W M L Oswald (Matt) managed the block on behalf of his brother's widow (Mrs Edmond) and himself. In 1966 the original Duntroon and Glendhu were split making the present Duntroon and Mt Carmel. In 1980 an additional 275 Ha of adjoining land was purchased from Weld's Hill. 2008 marked 100 years of the Oswald family being in the Awatere. Also, in 2009 the fifth generation of the family has arrived at Duntroon, Sophie Oswald (daughter of Hamish and Jane). Since 1966 a lot of development has been done in the way of fencing, fertilizer and oversowing which has made it possible to increase stock numbers. At present around 5200stock units are being run, made up of 70/30 Merino sheep and Angus cattle. This has also led to a change into a breeding and finishing property. Other improvements include up grading of the original woolshed (built in early 1900), satellite sheep and cattle yards, stock water systems and the building of an airstrip at one of the highest points of the property.